If you think back on all the hours you’ve spent playing videogames you’ll probably find that boss fights are among the most memorable moments. They’re tough, drawing out extreme emotions from us, and can drag on for hours – sometimes days or weeks if you get particularly stuck. 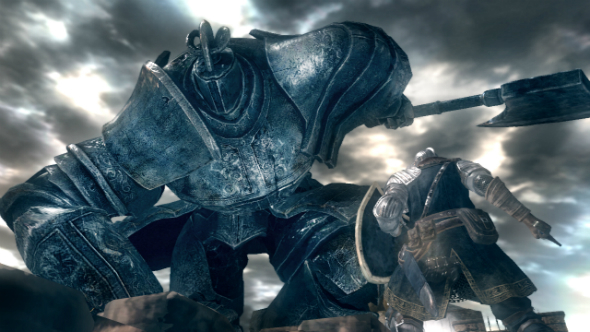 Here’s a list of nine of the worst-designed boss fights we’ve ever endured. 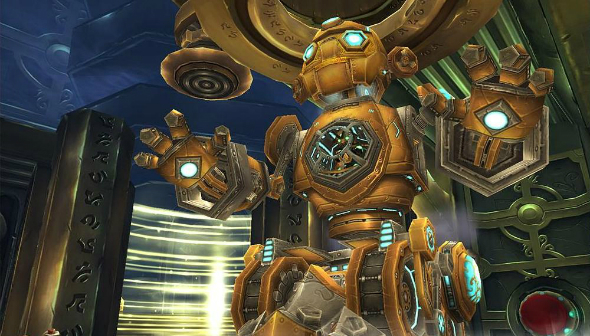 Mimiron was a boss in Ulduar, the second raid in Wrath of the Lich King. He’s a mad gnome driving a tank that drops bombs, fills a room with fire, fire lasers from his eyes and eventually turns into a Voltron style robot walker thing. The trick is that every part of his body has to reach 1% health at the same time, and that’s pretty hard to coordinate between a full 25-person raid. And, oh yeah, as the raid enters his room, you’ll see a giant red button with the label “DO NOT PRESS.” So, of course, you press it, and it increases his health by 30% and sets an eight-minute timer on the fight. Killing him in hard mode was one of the highlights of my raid career. Watching videos of him being soloed by mediocrely-geared hunters some seven years later makes me weep with pity. 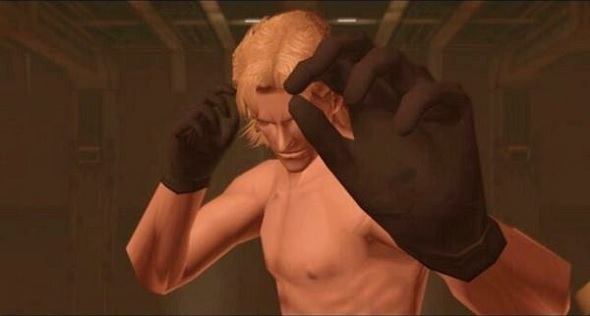 After carving your way through Shadow Moses, neutralising every member of FOXHOUND, and defeating the king of mecha – Metal Gear Rex – Hideo Kojima still isn’t done with you. In the burning wreck of Rex, you have to beat your brother Liquid Snake senseless in a boxing match. I have played Metal Gear Solid on PC, PlayStation, PlayStation 3, and PlayStation Vita, and I’ve never managed to beat Liquid. Maybe it’s exhaustion after the work of defeating Rex but I find his punches are too fast, too strong, and my fingers move too slowly. Keep your Dark Souls and your WoW raids, Kojima’s boss battles are what kill my completion rates. Yes, yes, I know it’s not on PC. 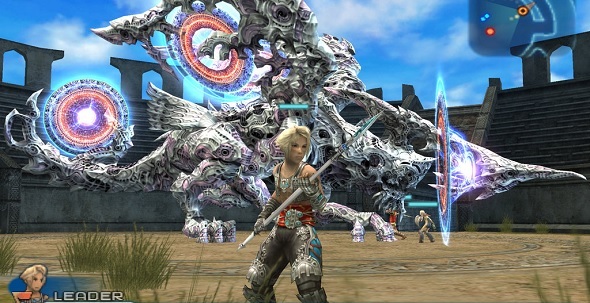 But Final Fantasy XII’s Zodiac Age remaster is out on PlayStation 4 this month, and I’ll eat my old PS2 if it doesn’t come to our towers shortly thereafter, what with Square clearly trying to bring every Final Fantasy to Steam. And when they do, I know what I won’t be doing. As a plucky student who thought he loved dragons unconditionally, Yiazmat re-educated me. With a frankly unnecessary 50 million HP, I’ve never encountered such a marathon of a fight, especially since your own damage is capped at 10k (a cap which drops to 7k, just because). Yiazmat has several options for self-healing, too; the last straw for me came when the fossil-looking git reflected Renew off my party just as I was digging into the last 10% of its health. I didn’t beat it and I don’t want to. I’m no Ahab; my white whale can bugger off. Stop linking me to YouTube videos of people killing it in ten minutes, Ben. Beating the final boss of Metal Gear Rising: Revengeance is a feat of patience and endurance. He has three phases – each one harder than the last, all taking a considerable amount of time. 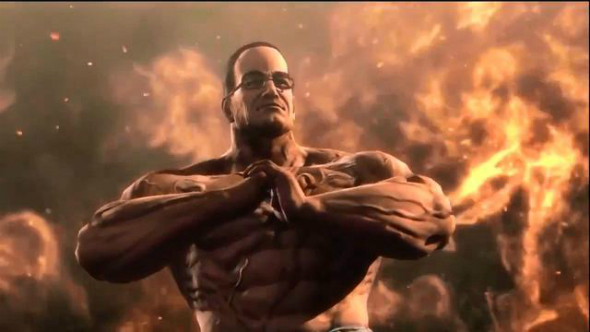 You’d be mistaken in thinking that Senator Armstrong would be at his strongest when inside his Metal Gear, but he isn’t your average war-mad republican, he’s a republican on Nanomachines. His cigar in hand, he rips off his suit to reveal a muscular physique that would make Dwayne ‘The Rock’ Johnson blush. Then he proceeds to kick the ever living crap out of you, countering your every move as you desperately try to chip away at his health bar. The boss fight itself can take up to 40 minutes – and that’s if you’re doing well. Learning the timings of his attacks, how to counter them, and how to actually damage him required me to die many, many times. Going through all this to finally watch Raiden shank him with his katana was one of my most satisfying gaming moments, and made the gruelling challenge all worth it. Meet Darius. He’s the final boss in Need for Speed Carbon, and in proud Need for Speed tradition, he’s also an arse. After tricking you into gaining territory for him and leaving you to be arrested, you finally manage to take down his three underbosses and have a grudge match with the nefarious trickster. In keeping with his character, he makes snide remarks about your ex-girlfriend Nikki on the starting line and then speeds off in an Audi Le Mans Quattro, leaving you in his dust. I cannot count how many times I tried to beat Darius – in fact, I’m pretty sure my subconscious has blocked the traumatic event out – but I do know that by the time I won I was drenched in sweat, wild-eyed, and yelling every conceivable expletive at the screen. Not one I care to repeat any time soon. By the time you arrive at The Surge’s toughest boss fight, you’ve already beaten the following: a sword-wielding mech; a gigantic, spidery, fire-spewing drone; and a sentient assembly line called Big Sister. You feel ready for anything, and then an armour-clad chap walks out to greet you in the arena – he’s the same size as you, his weapon isn’t any bigger than yours, and his armour is no more impressive than yours. The fight starts. Black Cerberus’s movement and attack patterns seem manageable and soon enough you fall into the same practice of baiting heavy attacks and sneaking in quick slashes. Then he knocks you off your feet and runs into a room, locking the door behind him. 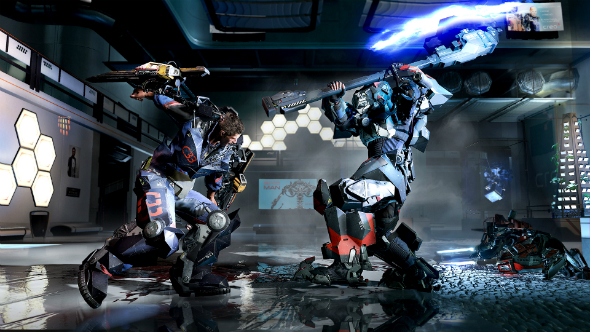 Out marches a clone of The Surge’s first boss for you to kill while Cerberus takes five and heals. You’ll need to beat five sword-wielding mechs over the course of the fight, and in-between each one, Cerberus picks up a new deadly attack. I sat for six hours swearing and facepalming my way through mech after mech only to discover that there’s actually a way of stopping them from spawning. Then I died and spent another two hours trying to replicate that situation. Then I gave up and carried on as before for another hour before finally slaying Cerberus. On the plus side, I didn’t struggle to beat the mech during my NG+ run of the game. Not a conventional boss battle I suppose but still technically one? Which is good enough for me. 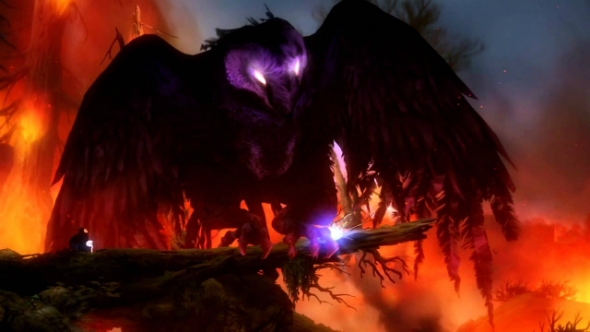 Once you’ve reached the summit of Mount Horu, Kuro – the big purple owl – tries to kill you one final time. You then have to tear it back down the mountain avoiding lava, explosions, falling rocks, collapsing trees, enemies attacks, and said very angry owl. This sequence was so unforgiving and relentless, I think I must have attempted it at least 50 times before I finally memorised every jump, dash, and blob of magma. When I finally managed that perfect run it was like a beautifully choreographed sequence from an action film, but with woodland creatures instead of Vin Diesel. If Rich is allowed to include a boss that isn’t even available to conquer on PC, then I am definitely allowed to include a battle that is technically eight fights in one – I’m doing it! 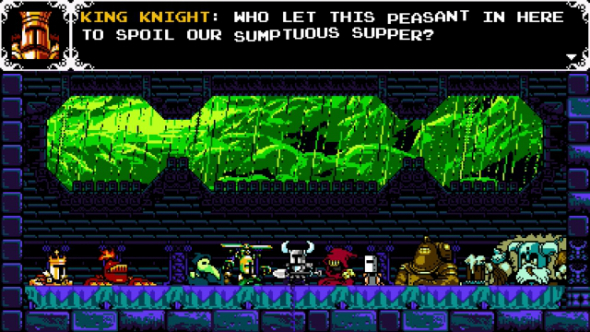 Shovel Knight’s battle royale is a gala of all of the game’s fantastic bosses, all rolled into a single tortuous duel, each one fought back to back with little assistance from the game. 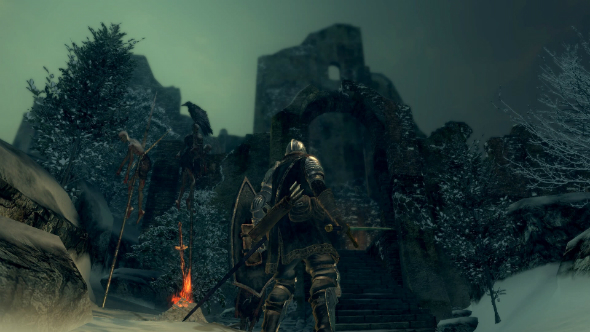 Crossbreed Priscilla, this optional Dark Souls area’s boss, is no headache to best – you can, in fact, elect to leave her be and just wander on past to the exit. The real challenge here, however, is dealing with the regular and aggressive invasions. One of my most memorable encounters happened during an absent-minded farming run spent killing Phalanxes while cradling my snoozing, four-month-old son. All was going smoothly enough until the dreaded invasion message popped up on screen. I dashed up to the top of the north-west tower, which forms part of the wall at the front of the fort, and dug in at the top of the stairs, waiting. My pursuer eventually found me of course, and after some emoting, we raised our shields and began to circle each other. The battle lasted what felt like an age as we gradually depleted each other’s Estus flask stocks, all the while trying to stay still and quiet enough not to wake my son despite the stress. Eventually, perhaps inevitably, an act of hubris on my part gave my opponent the upper hand. I was on the backfoot, with no space to create any distance between us, and so it was that one final parry resulted in a sword being buried deep in my gut. It felt real. The sensation of warmth and wetness spread across my stomach in the way I imagine the profuse bleeding from a stomach wound might. Clearly, I was far too invested in the fight and had begun hallucinating. Then I looked down: my son was awake, and had just finished throwing up all over my jeans and T-shirt. I was carried back to the last bonfire, the taunting dance of my invader only adding to my humiliation. 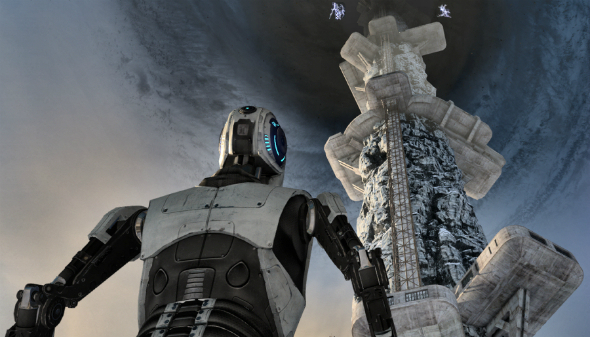 After having your brain knotted by the 15-20 hours of complex puzzles and existential philosophy The Talos Principle strains you through, you’d hope for a break. But it doesn’t come. At its end, you find yourself climbing The Tower – a huge megastructure segmented by yet more puzzle rooms, and that stretches beyond the clouds – while EL0-HIM, the game’s boom-voiced God, constantly warns you against the climb. As you step upwards you hear from above of your blasphemy, doubting whether you should continue, fearing that you might waste all that hard work for a single but defiant act of rebellion. You obeyed all the rules until now, adhered to the many demands of each puzzle, and now you’re risking it all just to see what God has in his attic. Turns out that, yep, there are more puzzles. Not the hardest in the game but tough enough that you’re absolutely exhausted by its end. You launch cubes across the sky, command robot clones of yourself, direct beams of light, jam electrical fields – pulling all the tricks you’ve learned throughout the game to solve this final mosaic of puzzle pieces. But that’s not the part that makes your brain collapse. 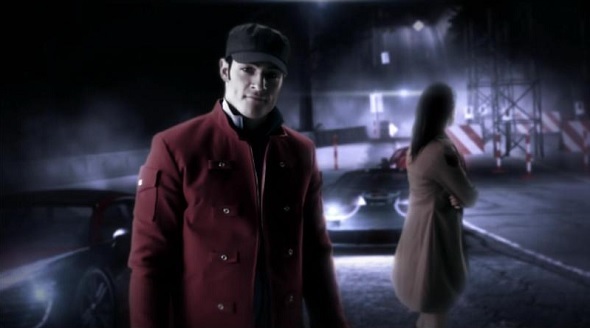 It comes immediately after, when the game reveals the truth of your situation; what all that puzzle solving was for. Without spoiling it, it’s a game that leaves you reeling in your thoughts, questioning your own humanity, perhaps even fearing that reality is fake, a simulation, a jest. Its most haunting question: how can you prove that you are human? Surely, having an existential breakdown is a telltale sign of one of the toughest final bosses out there. We’re eager to hear what you’ve found to be the most testing moments in games so let us know in the comments below.